The world's most admired airline isn't the only thing Delta CEO Ed Bastian runs. Atlanta's Westside BeltLine trail served as a training course Saturday, as Delta employees from across the company's global operation and members of the Rally Foundation for Childhood Cancer Research joined Bastian for a 5K out-and-back run ahead of his appearance at the 2018 TCS New York City Marathon, Nov. 4. The inaugural #BoltWithBastian event featured runners of all levels, each chosen to p​articipate based on video, photo and written submissions detailing why they wanted to help him train for the marathon. Also in attendance were Rally CEO Dean Crowe and Rally kids Matthew McMahon and Mason Griggs, both of whom are Osteosarcoma childhood cancer survivors. Bastian’s participation in the world's largest marathon includes his commitment to fundraising $1 million for the Rally Foundation, of which Bastian has been a longtime supporter. "Many are surprised to learn that funding for childhood cancer research comes from the private sector, not the government," Bastian said. "In fact, less than 4 percent of the NIH's cancer budget is designated for childhood cancers. I'm running to raise funds for research to help bring hope to all these kids who so bravely battle this disease." 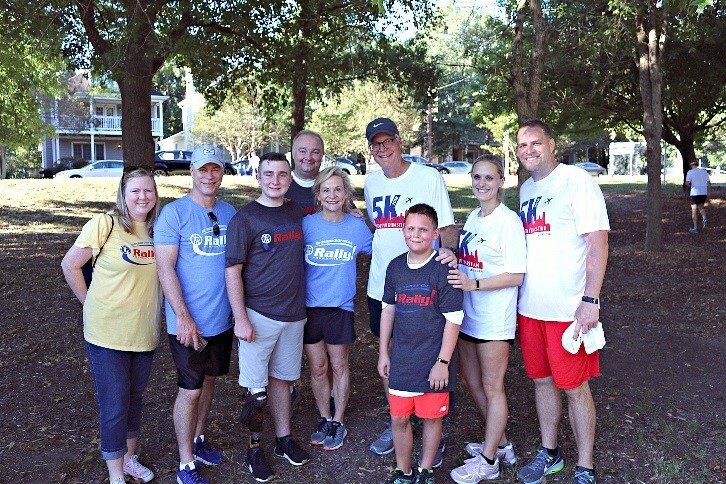 Delta is a proud partner of the Rally Foundation, a 501(c)3 non-profit organization that empowers volunteers across the country to raise awareness and funds for childhood cancer research to find better treatments with fewer long-term side effects and, ultimately, cures. For every dollar Rally raises, 92 cents goes directly to funding childhood cancer research and providing hope for kids with cancer.